“Consumers who came of age in the digital era are accustomed to subscriptions models for online media (Netflix), music (Spotify) and news (New York Times online), but ironically for them subscribing to something in the physical world is exciting and new,” said Hitwise senior analyst John Fetto. In our modern world where most of our routines revolve around smartphones and the internet, it’s become common for us to consume subscription services. Publishing companies and streaming sites have been implementing this subscription method for years. Other industries also have been trying to follow suit. Food and beauty businesses have also been experimenting with the subscription model and adapting it to their own businesses. The results have been mixed; some daily food subscription services do well, if they can keep the clients happy with the selection. The fashion scene has also been trying to break into the market, and Shu Wei decided to give it a go and start a venture of her own. After graduating from Monash University, majoring in economics and marketing, Shu Wei went on to study her MBA in Fashion Business at fashion schools IFA Paris in Shanghai and Polimoda in Florence. Upon returning to Malaysia with an MBA and an understanding of the global market, she went on to work at Christian Dior Malaysia. Being a fashion enthusiast and online shopper herself, Shu Wei saw how people were transitioning from buying in brick-and-mortar stores to online sites. She combined that observation with the realisation that transitioning online indicates that shoppers are willing to take some risks when it comes to buying clothes, especially with the female community. Thus, the idea to start Styleper stemmed from this. 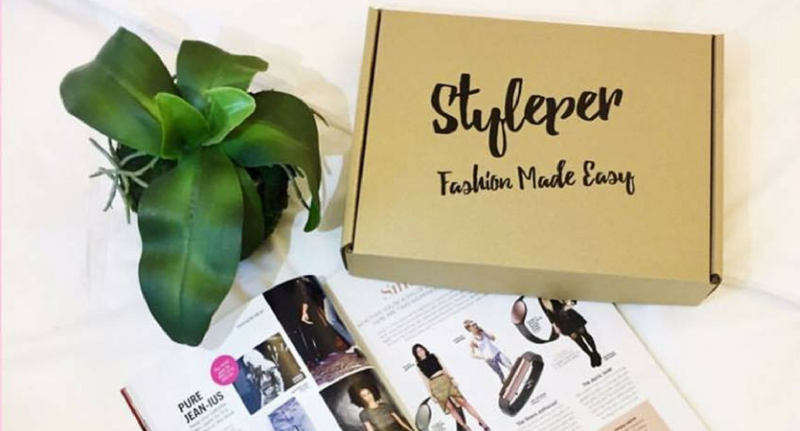 Styleper, an abbreviation of Style and Helper, is a monthly fashion subscription box that curates the products included according to a style profile you pick. Similar to other sites, Styleper gauges your fashion sense before offering you their products. 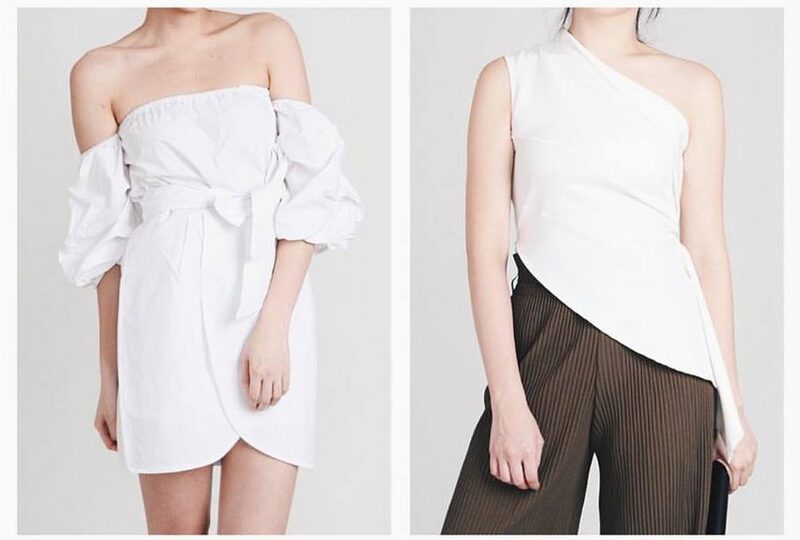 On their website, Styleper offers a few style profiles to choose from: The Lady which is suitable for the feminine and graceful, The Trendsetter which is for the chic and trendy, and The Classic which is for women who like modern yet clean looks. Styleper conducted market research to figure out the most popular styles and these 3 were the ones that seemed to gain the most attention. Each style profile includes a brief description as well as examples of clothing to give you an easier analysis of whether the profile would suit you or not. However, not everyone wants to stick to just one style or look all the time. Styleper resolves this by allowing their customers to switch from one profile to another without needing to commit to just one which gives more room for flexibility. In the future, Shu Wei hopes to include a versatile box in their range where the products included would be a mix and match of the style profiles to widen their offerings. 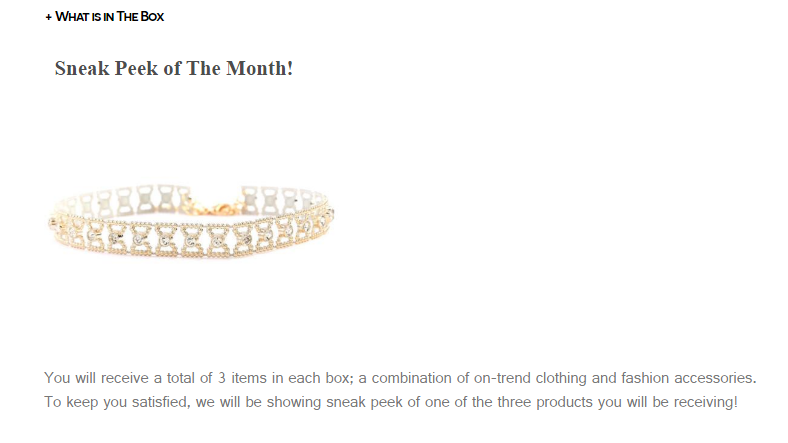 “Customers can choose The Lady box this month and switch to The Classic box the following month. We want customers to step out of their comfort zone and use Styleper as an avenue to explore new styles instead of always playing safe and buying the same style,” she said. The boxes come in 2 plans. The first is for one month and costs RM150 per box while the second is for 3 months and costs RM405 for 3 boxes. Each box contains three items. 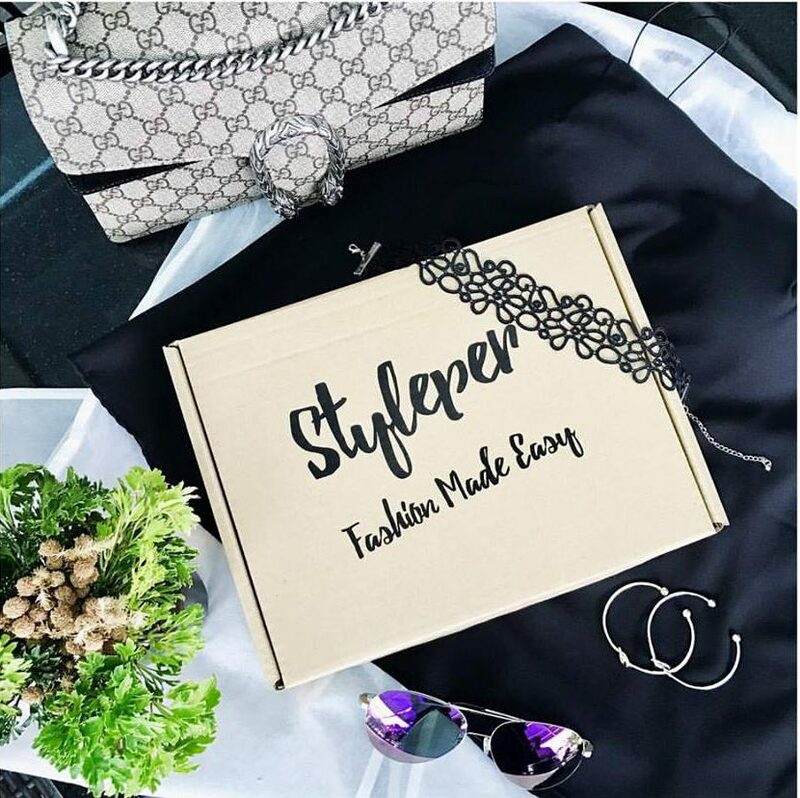 Currently, all their boxes have no delivery fee and after their soft launch, Styleper may implement a cut-off date on the 25th of every month so that the boxes can be delivered on the first week of the following month. Looking over what they had to offer, one risk factor that stood out to me is their no-return policy, contrary to what is usually offered by other fashion subscription boxes. It is quite a huge drawback if customers end up not liking the product included. 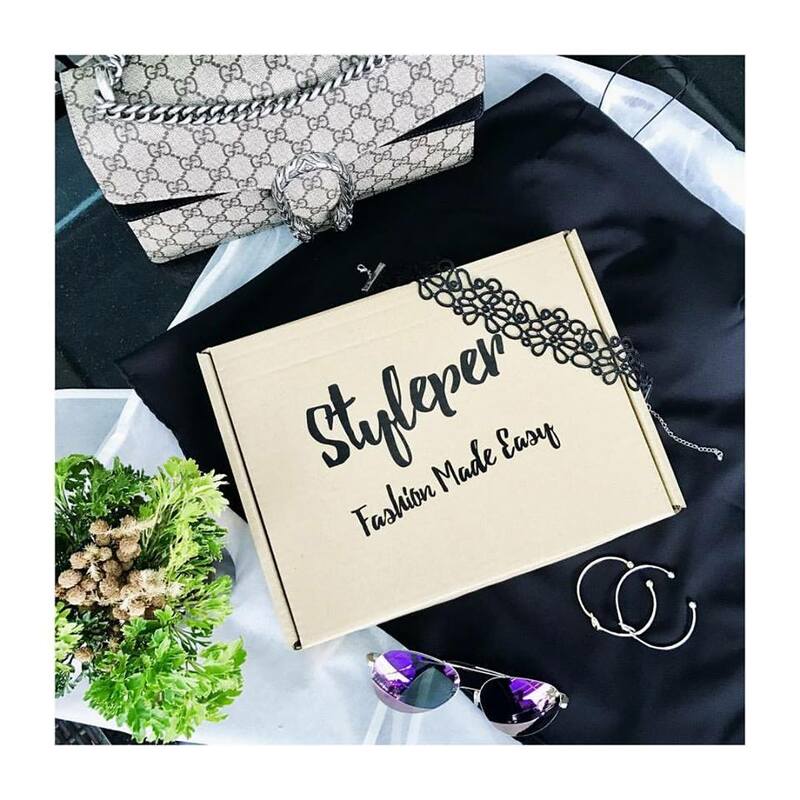 Styled Crew and Styled Club, which are similar fashion subscription services in Malaysia, address this by personally going to the customer’s house to take back items in the box that they may not like and will only charge for the items that are kept. However, Styleper has taken a completely different route. They put a tab on their website called “What’s In The Box?” that serves as a sneak peek of one of the products that will be included while still keeping the element of surprise. They do allow exchanges should the sizing be wrong but the delivery fee will be carried by the customer and is dependent on stock availability. Their boxes are currently curated for the female crowd with future plans on marketing towards males as well. Upon stabilising their business, Shu Wei mentioned plans of building an e-commerce shop where they’ll be able to sell their self-designed and manufactured clothing under the Styleper brand. Styleper’s model also involves no credit card linkage, no automatic renewal and no recurring charges. It’s based on a one-time payment and should they wish to continue, they just need to make the payment for the next month and so on. Of course, this may defeat the purpose of having a subscription package, since customers have to keep going back, but most might prefer this over just being charged automatically every month. The subscription model originally flourished in the US with boxes such as Birchbox and Ipsy boasting turnovers in excess of US$100 million. A new player coming into the scene, Loot Crate, also received series A funding of US$20 million to move forward. This indicates that the model does show promise in America and is able to attract attention, customers and funding. However, the business has not done so well in Asia. Although many have tried to mimic this so-called simplistic model, not many managed to maintain it. One of the most popular reasons people sign up for subscription boxes is the element of surprise. Consumer psychologist Dr. Angela Lee conducted research that showed how Asian consumers are more “prevention-focused” than their Western counterparts. Asians tend to make more calculated decisions and are more cautious and meticulous. So this whole element of surprise that took off in the West may put off Asian consumers. 2013 was the year when many beauty subscription boxes launched in Southeast Asia. However, by the second half of the year, the number had dwindled down to less than half. Boxes that stopped their subscription service in Asian countries include Bellabox from Singapore, Lolabox from Indonesia, and FabulousFinds from Malaysia. Also, there are many scepticisms that can be made on the scalability of subscription services in fashion. “The subscription box model works with “products that are consumable, that [customers] use on a daily or weekly basis. When it comes to fashion… there just aren’t enough people that want to keep getting this stuff shoved at them every month that would allow the business to make a profit,” said retail expert Robin Lewis. For the Malaysian fashion subscription boxes mentioned earlier (Styled Club and Styled Crew), the male counterpart (Crew) still seems to be active based on their social media interactions. When contacted in October last year, Styled Club stated that they still send out boxes upon request, but their social media pages have shown less activity, particularly in the last half of the year. However, unless Styleper manages to obtain the numbers they need to keep up this subscription model and not just “copy-paste” the Western strategy of handling this, it might be difficult for them to maintain the business and avoid the same fate that many other beauty or fashion subscriptions face in this region. Also, they’ll have to get customers comfortable with their no-return policy, another hurdle they’ll have to overcome.